Cosplay is becoming increasingly popular in the United States. Japan should seize the chance to exploit it. 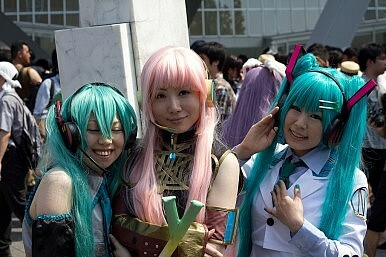 Cosplay – in which participants dress up as fictional, typically sci-fi or manga characters – is becoming increasingly popular in the United States. It’s a potential source of soft power that Japanese policymakers should be keeping a better eye on. Henry Lee, Co-Founder of American Cosplay Paradise, agrees. After launching one of the first American Cosplay websites in 2000, Lee has ridden the Cosplay wave to commercial success. He estimates the industry has grown from practically nothing in the early-2000s to being worth about $5 million to $7 million per year, numbers he says are set to keep rising. Back in the late 1990s and early 2000s, Lee says he remembers Cosplay as a niche within a niche for Americans. Originally rooted in Asian communities on the West Coast and a few major East Coast cities, Cosplay slowly fanned out geographically after being incorporated into national anime convention programming. The emergence of online resources (Cosplay.com) and Cartoon Network’s efforts to bring anime shows into the mainstream also played a role. Initially, Cosplay was a specialized form of costuming, with most Cosplayers making their own costumes. But it ultimately caught on with the appearance of commercial, pre-made Cosplay costumes. Still, in the early days it was limited to Japanese cultural influences, particularly anime and manga. Lee says he still remembers, for example, when his website only offered Japanese-inspired costumes. However, in the mid-2000s, he could no longer enforce such limitations as demand increased for non-Japanese costumes (particularly DC and Marvel superhero and American video game characters) and US and Japanese studios started to collaborate on more projects, blurring the line of what could be considered Japanese. While American geekdom and anime fandom have maintained an interest in costumes for decades, Lee says he noticed a major shift around 2008, when Cosplay established a major presence at both San Diego Comic-Con and Dragon*Con, the largest comic book and sci-fi conventions in the world. For Lee and Oni, it’s clear Cosplay has established itself as both a major commercial industry and an important new form of cultural expression in American society. If they’re right, Japanese public diplomacy practitioners should take notice of the growing US interest in Cosplay. Oni also argues that although there remains a strong preference for characters from Japanese pop culture among Cosplayers due to the traditional close-linkage with the anime and manga community, there’s no guarantee that Japanese preferences will remain dominant as Cosplay branches out to broader society. If the Japanese government can do this, it has an opportunity not just to expand its cultural prestige and influence abroad, but also to find new avenues for stimulating an economy in desperate need of help. Eddie Walsh is The Diplomat's Pentagon (accredited) correspondent. His work has been featured by Gulf News, ISN Insights, CSIS, The East Asia Forum, The Jakarta Globe and The Journal of Energy Security. He blogs at Asia–Pacific Reporting, can be reached at [email protected], and followed @aseanreporting. Japan’s Immigration Policy: Turned Corner or Cul-De-Sac?Japan and Europe’s Triple PartnershipThe Art of the Balance: Japan, China and the United StatesHow Abe Remade the Japan Coast GuardWhat Comes After US Hegemony?